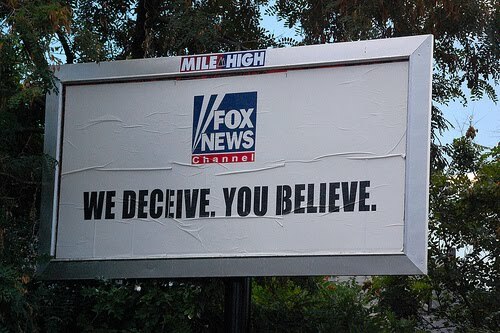 You are here: Home > What do natural childbirth and Fox News have in common? For the past few days, Amy Romano of Lamaze has been breathlessly twittering from the “Normal Birth Conference.” Reading her tweets gives us a great deal on insight into why she is constantly (and falsely) claiming that modern obstetrics is not evidence based. The conference is nothing more than an echo chamber. The Normal Birth Conference is just like Fox News. It makes up the “news” to suit its viewers and never challenges the claims of its stalwarts, nor allows anyone else to challenge them. Amy Romano and her colleagues think they are listening to the “truth” when they hear speaker after speaker, long on ideological fervor and short on scientific accuracy. They’re just like right wing Republicans who think they are listening to the “truth” when they tune into Fox News stalwarts claiming that Obama was “really” born in Africa and therefore ineligible to be president. It would never cross the mind of Romano and compatriots to demand that alternative points of view be presented for analysis, just like it would never cross the minds of Fox viewers to demand that alternative points of view be presented for balance and as a corrective to the Fox party line. Similarly, it would never cross the mind of Romano and compatriots to attend a real scientific conference about childbirth, since they might learn something they don’t want to know. Ditto the right wing Republicans. It might be very uncomfortable to listen to liberal analyses; they might make too much sense. Better not to hear them at all. Soo Downe is the goofball midwifery theorist who invoked quantum mechanics to “explain” why it is okay for midwives to ignore scientific evidence. Holly Powell Kennedy has previously “defined” normal birth. To provide a foundation for future collaboration in research efforts that examine and document models of maternity care that support of normal labour and birth. Presumably those whose work does not confirm the organizers beliefs in the superiority of normal birth need not apply. Imagine if obstetricians held a conference to “promote” episiotomies and invited only those whose work supports the use of episiotomies and refused to include anyone who might have a different point of view or might present evidence that did not support use of episiotomies. Everyone would be justifiably outraged because the conference would be explicitly devoted to supporting a particular viewpoint, and not devoted to the scientific evidence. The great virtue of science, real science, is that it allows for dissent. The sheer numbers of scientists working on any given problem ensures that their will be a diversity of scientific views, approaches and studies. Society benefits because we can synthesize all the existing research to approximate the truth. That is the great failing of echo chambers like Fox News and the Normal Birth Conference. Only a tiny number of preapproved speakers are allows to present a tiny number of preapproved claims, and no one is available to challenge or question those speakers. The predictable result: beliefs confirmed, reality dismissed. ← Oops. Upright birth positions increase bleeding and perineal trauma.